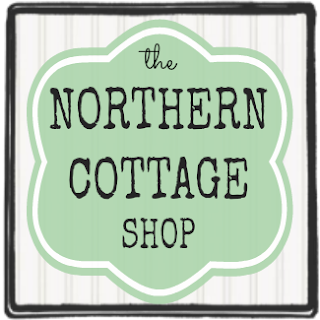 I'm excited to announce that I've opened a little shop where you'll find cozy, cuddly, wonderful quilts all ready for you! The clientele (with their many garbage bags of clothes) were eyeing me up & probably thought me a little odd bringing in my one little quilt (and in a pretty tote of course!) what a dork I am! I plunked in my $3 dollars in quarters for the wash and $1.50 for the dry. If you follow me on pinterest, you may have noticed 18 billion new pins being added during my laundromat lock down! so – in the end - it was all good! in all her frayed ruffle-y ragged-y goodness! * for (what else? )blogging on the couch! Pretty! I love the colors and the ruffles. I love it!! The ruffles are especially cute! Great job! Very cute I love it. I love how it washed up. I was sooooooo afraid that it was your quilt that had gotten stolen. I've never been an orange person but it's growing on me lately. I'm almost tempted to make something out of orange. So glad you steered clear of the care bears! I love it! You did a wonderful job! I wouldn't have left it at the laundrymat either! Those ruffles are too cute. Enjoy it on these cold days! I love the colors, the ruffles, the raggedy look, everything! Can't wait to see how you made it! What? 1st quilt? I SO don't believe you. That lil' guy is SOOOO cute. I want one for my new grandson. Guess I better learn how to do that. He'll have one by the time he turns 1, lol. And I only wish I had known ahead what a mess they make and gone to the laundromat like you did. Smarty! I love the ragged edges and even the orange. That will make such a nice accent. We went camping (RV) last summer and I too was shocked to see the prices at the laundromat! Oh my goodness your quilt looks beautiful. What a great job you did on it!! I love it! I have always wanted to make a quilt...someday. Great job. That quilt is just perfect goodness. Love it! And of course, I LOVE your quilt! Love the colors so cute! Thanks for visiting and your nice comments! So cute -- love the fabric choices and the design! Love your quilt. I made a quilt like this and they are the coziest. I love the fabric choices you made. You did a great job. Good thing you stayed to guard her. that is absolutely beautiful!! we have had to visit the laundry mat a few times over the years due to washer dryer issues....yes, it is interesting. I would stay if I were you too. I always notice at least someone who looks like a sock stealer when I go! I about fell over once when my mother in law( there is a story here) said they would go get towels from the laundry mat..yep just take someones! gasp!! So cute.. Love the ruffles and different patterns.. :) thanks for stopping by and leaving a sweet comment.. I love it! I love the fabrics you chose and I love the ruffles you put in between! This is really pretty! I have always wanted to try one! Stopping by from tickeld pink. That's gorgeous!! I've been wanting to make a rag quilt so bad! I think after seeing yours I will give it a try! I've never made any type of quilt so I am hoping it will be as easy as it sounds.... Just found your blog and I love it!! That is gorgeous! I've made some rag quilts and I'm dying to know how you perfected the "ruffle" look on the seams. Did you use a zig zag stitch when assembling the blocks? BTW, the reason those people bring garbage bags of laundry is because they CRAM it in those washers/dryers that cost so much! 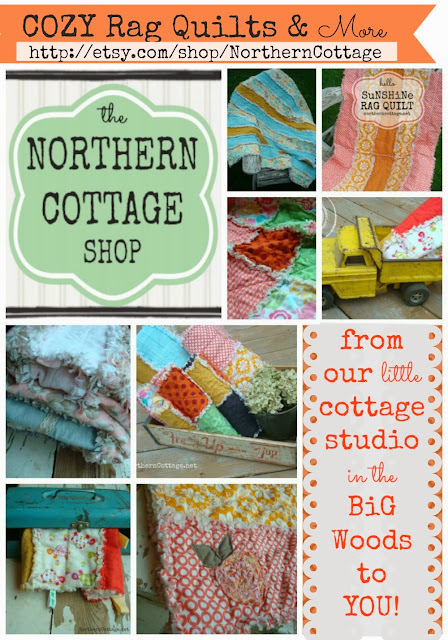 I love rag quilts! I've made three, and feel so proud of those accomplishments. I washed the first one in my home washer, and a sixty dollar repair bill later, learned that is not the way to do it. I love yours - it's beautiful! That same quilt from pinterest was my rag quilt pinspiration as well. I love you color combo! LOVE this quilt!! It is beautiful. I am pinning and I can't wait to see how you made it. I'm a new follower too! You have such a cute blog. I found you on the link party. I am your newest follower. :) If you would like to check out my blog that would be awesome and follow me back..
Ha! Funny story! I was rolling. You are definitely brave. The quilt turned out great! So beautiful, I love the fun colors. They remind me a little of orange sherbet...and I'm totally pregnant, so that could be why...now I need to go to the grocery store! That is absolutely adorable!! Love the colors!! GREAT JOB!! Love the colors!! I would have stayed at the laundomat, too!! After all the time and love put into quilts, they're like your babies - - gotta protect 'em!! LOL ... cud just picture u not daring to move an inch & leave your beloved quilt in case someone nicked it! Thanks for the laugh. I absolutley love your quilt & how it turned out! Kudo's to u! Really pretty, i love my first rag quilt. They are so. Fun and easy to make. They only get softer everytime you wash them. Man... 3 dollars for a wash... Seems a bit steep to me too. I love it. I love that it was a first and came out so perfect. Love the laudromat story! oh my goodness! Your post had me laughing! Awesome quilt by the way! Thanks for linking it up! I'm glad you stayed and protected it at the laundromat! I just love the colors and can't wait to read about how you made it. Love the way you write too. I love the colors you picked for your rag quilt..thanks for linking up at Sunday Blog Love too! I also love that quilt that inspired you..she made another one and was one of my top 5 picks last week..and guess what? Your quilt is one of my top five this week! I so want to tray to make one but I'm afraig I'll mess up and end up with a round quilt...not the best at cutting straight lines...please come back and link up again this weekend..I better find you on pinterest..sounds like you love it as much as I do! Have a great weekend! Okay, so you probably don't need another comment on this quilt, but that's not why I am here...well yes, that is what drew me in because it's beautiful and I would like to try to make one, however, it's the funny and articulate way you wrote the post as we are best friends and I envy that in you. So I will join your blog with your new linky tool...come by and see me sometime. I love orange! I love your quilt! Inspires me to go sew! I make rag quilts for my grandkids...but using squares. I am excited to make some using strips, AND to add ruffles...can't wait to see how you did it. :) Loved your laundromat story. My hubby dropped me at a laundromat in LA once when we took the kids to disneyland and ran out of clothes. Way before cell phones, so I couldn't call and tell him that it was the scariest place this small town Idaho girl had been in a long time, and our dirty clothes would be just fine!! Your quilt is so beautiful! I am in the process for making a LARGE rag quilt for myself using 5 inch squares. I have only done baby quilts before, so this is a large project! Apart from sewing together 374 squares and then sewing them all into rows and then the rows all together, I never imagined that it would take me so long to snip all of the edges! A full week so far and I have tons of blisters! And the lint that I have all over my couch and carpets is laughable! I will definitely have to take mine to a laundromat, or my poor washer will quit in protest. Both of my teenage girls are begging me for a quilt and I think that I will have to do strips like you did. So pretty! Thanks for sharing! I have made several rag quilts but not 'ruffled' so please tell me how you got the ruffled look, please. Orange would fit in my house fine. I like your pick of fabric too. Very nice. You can use your machine at home without clogging it with all the threads just use an ordinary kitchen strainer. Stop the washer before it finishes the wash cycle and strain the water several times to get all the threads. You save your machine and yourself the trip to the laundromat,(and clogging up their machines). It really works, learned it from our local quilt shop. Hi Elizabeth!! You can do either way - it takes more elbow grease to snip through those extra layers but you can certainly make the inside squares the same size as the tops and bottoms or even add more layers of them - it all depends on the look you're after - have fun! !